Car chargers are an absolute must if you use a navigation app while driving. Today you can get an Aukey dual-USB model on the cheap. 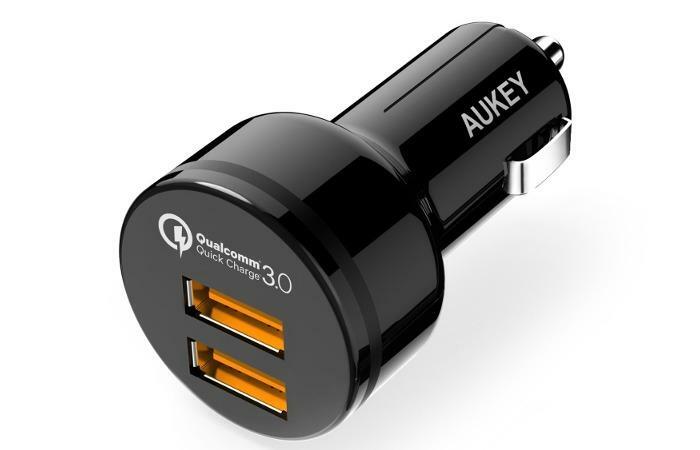 This charger can charge two "compatible devices" up to four times faster than normal chargers, according to Aukey, as it supports Qualcomm's Quick Charge 3.0 technology. (Hence the product's name.) The charger is also loaded with safeguards to prevent excessive current from overloading your devices. That should just be a standard part of any charging device, mind you--especially car chargers.